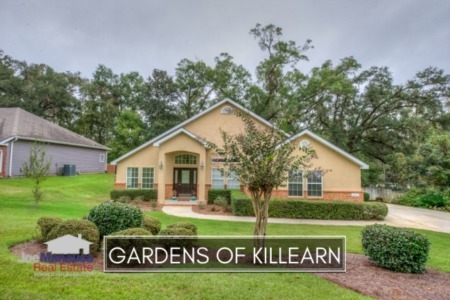 If you are looking for a 3 or 4 bedroom home in or near Killearn Estates, you should add the Gardens of Killearn to your shopping list. Featuring single family homes that were built mostly in the 1990s, buyers love the modern (ish) homes and the "location, location, location." It is important to note that the narrative contained below is for sales through December for all previous years, but only through the tenth of September in 2017. The graphs and the closed sales table will be continuously updated into the future (meaning bookmark this page if you always want to know the current status of homes in the Gardens of Killearn). The average existing home price is $310K for the Gardens of Killearn thus far in 2017. This is up another 11% over last year's average (which was up 3% total for the year). But do these prices necessarily mean that this high demand neighborhood is getting more expensive? Home sales activity has slowed considerably in 2017 versus the past two years. Currently, there are three homes for sale in the Gardens of Killearn, but none of them are yet under contract. There have been only eight closed home sales in the Gardens of Killearn through the writing of this report. Average home values in the Gardens of Killearn have been declining this year, but the reason is fairly obvious when you take in the totality of this report. The average value of a home sold in the Gardens of Killearn in 2017 has been $124 per square foot. The following section on home sizes provides the causation of the appearance of declining values. 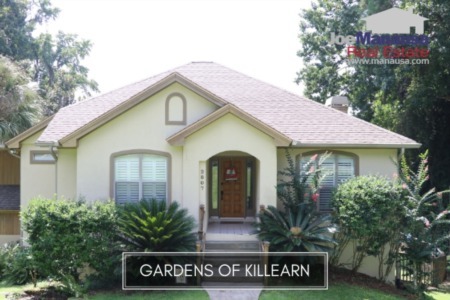 The fact is, Properly marketed homes in the Gardens of Killearn will sell right away. The average home size sold in the Gardens of Killearn typically falls in a range of 2,100 to 2,400 square feet, but this year has seen many larger homes sell. The average home size sold in the Gardens of Killearn this year has been 2,501 square feet, which would be a record-high were these the last homes that sold and closed in 2017. Expect that when we see the "normal" sized homes in the Gardens of Killearn sell, we'll see the average price per square foot move a good bit higher (when all else is equal, smaller homes sell at a higher price per square foot as the common valuable assets in the home are divided across less square footage). This concludes our September 2017 update on home sales in the Gardens of Killearn, please feel free to drop me a note if you have questions not covered in this report.